I am getting ready for an exciting two-month journey with the Eisenhower Fellowships, Women Leaders Program 2015 which will take me to Philadelphia, Washington DC, New York, Boston, Sedona, San Francisco, Seattle, Los Angeles, and Miami. Like my explorer ancestors, I will be touring the US’s top local and international organizations, public and UN institutions, corporations and politicians to “explore” new ways to advocate for gender equality and equal rights for all. This journey will help me examine existing international conventions and US developed tools and strategies to make more impact on the gender reform agenda for Lebanon and the MENA region. Throughout this fellowship, I will be posting photos, comments, blog posts and reflections and welcome your feedback and suggestions. Receiving the prestigious Eisenhower Fellowship is a great honor, but it is not a personal award; as you know me well, I will pay it forward! It is indeed winning an opportunity for the Lebanese Civil Society’s voice to be heard in the US and an excellent occasion to highlight all that my fellow activists have done so far and to examine partnerships and collaborations with the US, UN and international institutions. I depart on this journey with a profound sense of pride in my fellow activists who are taking it to the streets in Beirut to speak-up against corruption, injustice and every undemocratic action the existing Lebanese “war-lords” politicians and their allies have used to hijack the first democracy in the Middle East… When I am asked, I will do everything I can to make your voices heard and your demands, our demands, properly underscored. I am looking forward to this exciting journey and I know I will come back with lessons, tools, ideas and partnerships that will allow us all to work together for a better and inclusive society in Lebanon! Winning the Eisenhower Fellowship is an honor but also a great responsibility. I have so many people to thank for mentoring me and supporting me in preparing for this journey, I shall thank you all by making the best out of this exceptional opportunity! Philadelphia, here I come! Click here for my Eisenhower Fellowships introductory bio available on the Eisenhower Fellowship website. I had an interesting side conversation last night about donors priorities versus civil society needs. I do agree that sometimes there need to be a better rapprochement between the two so as to reduce the level of corruption, and implementing projects for the sake of pleasing the donor rather than addressing the issues that are at the core of the NGO’s interest. 1- Mushrooming NGOs and benefit oriented NGOs or the so called “family business NGOs” are there and will always please the donor because they are opportunists and all they think of is the money. I see and work with NGOs everyday that refuse to abide by donors priorities and are still able to make a change in their environment. And they have my respect and the donors’. They are committed to their cause, they are doing their best to find other funding sources. And yes it is a bit more challenging for them, but at the end of the day they are still doing by their mission and cause because they believe in it. Well my dear friend, and my dear civil society colleagues, every Human Rights campaign is a priority for the group that is concerned by it. When every day men, women and transgender people are arrested and put in jail, sexual, physically abused, when they are thrown out of their jobs, bullied by their families and communities, when they suffer from sickness and do not get the proper care, I cannot allow myself to say or even think that their needs are not a Human Rights priority. Every Human Rights issue is a priority because when we stop believing so, these questions of rights loose the attribution of HUMANITY, of HUMAN and they become a number of random rights that we address by choice or convenience. For once and for all, when we talk about LGBT rights, about dignity, equality, hope, freedom, justice, we are talking about the rights of the most discriminated against portion of our society. A portion that is often the most creative, compassionate, innovative and brave, but living a double life, hiding from discrimination and bullying. I cannot stop thinking of LGBT rights as a Human Rights priority when there are laws in Lebanon that discriminate against LGBT people and can put them in jail. Human Rights are universal, there is no such thing as a priority in Human Rights, there is no such thing as a priority in injustice! The LGBT community is a core part of our Lebanese, Middle Eastern, Near Eastern, Arab, Christian, Jewish, and Muslim, Atheist, Deist, Rural, Urban, Nomade communities. I am so done with hearing discriminatory comments on this issue. It is time to mature, grow up and understand that Homophobia is wrong, Homophobia is weak, Homophobia is every indication of contempt, lack of empathy and dismissal of the rights of LGBT people, equally human to every one in humanity. I have recently completed a month-long trip to Brazil in which I was reporting extensively on the Lebanese-Brazilian diaspora (and watching the World Cup!) For those that don’t know, there are perhaps twice as many Brazilians of Lebanese descent as there are people inside Lebanon itself. They are also hugely powerful and economically successful. As such I spent a few weeks meeting senior Lebanese-Brazilians, including an interview with Michel Temer – Brazil’s vice-president. I also wrote an extensive history of Lebanese emmigration to Brazil, which was fascinating to research and write. I have copied and pasted the first part of it below. You can view all the articles here. Sener is pleased to be working with video producer Ben Hill and his crew of student film makers to realize another program of poetry and dance, this time featuring colorful movement interpretations by Macher that illuminate three Gorguis poems regarding the character of Scheherazade, the famous storyteller of the Arabian epic ‘The Thousand and One Nights’. Getting ready to go to Morocco at the invitation of the ALF President Mr. Andre Azoulay, Advisor to His Majesty Mohammed VI, King of Morocco to be one of the 5 main speakers who will discuss the resources and mechanisms of participation of youth in local decision making and local governments in the frame of the World Summit of Local and Regional Leaders, Rabat 2013. 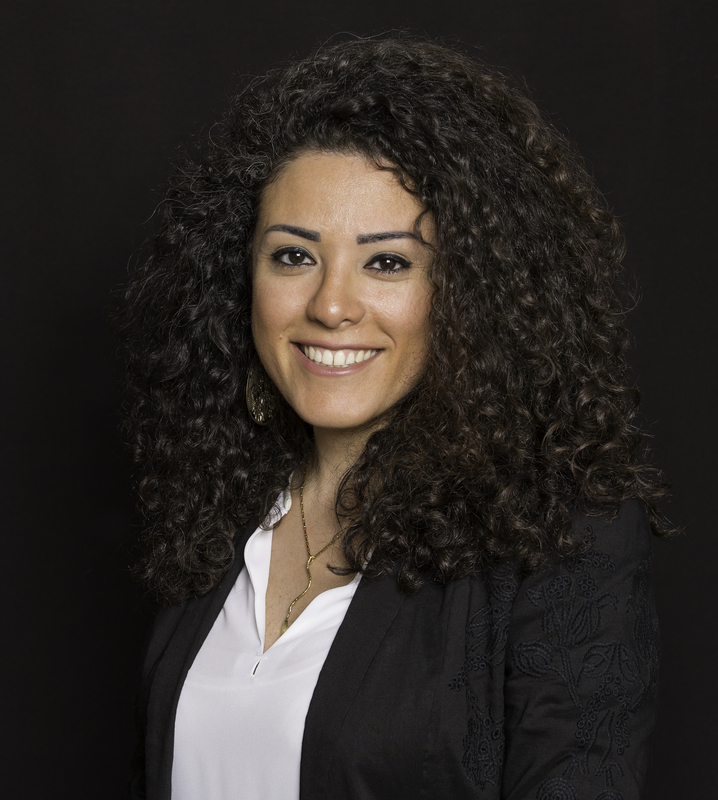 Lebanon Development Union LDU and the Youth and Culture Center – Zouk Mikael will be at the heart of a round table attended by over 90 participants from around the world. Zouk Mikael en route to glory… “So dreams come true”! It all started with an email I received from a friend in which she writes: “the moment I saw this award announcement I thought of the Youth and Culture Center and your wonderful city of Zouk Mikael. I have a feeling you can make it, I strongly encourage you to apply”. I have to confess that I was a bit skeptical at the beginning: Can we compete? Applying entailed a lot of preparation and paperwork and I kept asking myself what made our experience an exclusive one? And why would the judges choose us while our initiative was not unheard of worldwide? And then it hit me! It was not the idea; it’s the experience, the “parcours,” and the Lebanese context that makes YCC a successful example of a pioneering initiative in urban human development. And so, under the title of “Building better communities: Inspire, Empower, Engage!” the Youth and Culture Center of Zouk Mikael became officially one of the 255 initiatives from 153 cities from 56 countries and provinces that were presented to the Guangzhou International Award for Urban Innovation in China. The award ceremonies were organized in collaboration with the UN affiliated organization, United Cities and Local Governments (UCLG), and the World Association of Major Metropolises (Metropolis) between November 14 and 17, 2012 in , Guangzhou, the capital of Guangdong — one of the most developed Chinese provinces economically and technologically in Southern China. Our application summarized the work we have been doing since 2009: we Inspire the youth of our community, we Empower them with knowledge and know how, opportunities and connections, and then we Engage them in activities that are beneficial to them and the community. In short, we teach them how to pay it forward to others and become themselves actors of positive change. While this approach is common to other community centers throughout the world, Zouk Mikael’s merit is based on the fact that the city initiated a human development strategy in the absence of funding and central government support or existing policies that prevent the daily operations from running smoothly. Other factors such as the lack of trust in public service and public institutions, the youth apathy and growing disinterest in culture and arts, the lack of resources and local expertise would have otherwise prevented the accomplishment of the YCC initiative if it were not to the thorough planning, the international expertise and the dedication of the YCC team, but most importantly to the continued and unconditional support of Mayor Nouhad Naufal. However, the selection criteria was also based on the kinds of solutions provided for the challenges, for every city encounters difficulties in implementing its projects, but the value is in the way it addresses them. Thus the problem solving approach had to be pioneering and innovative in order for the city to reach the top 30 worldwide deserving initiatives. Ours was both simple and complicated: we relied on open source platforms such as social media (blogging, facebook, twitter), Internet and networking, as the main tool to advertise our events and recruit audience and volunteers. We initiated a Public Private Partnership with USEK – a first in Lebanon between a university and a local authority – in the purpose of maximizing on both institutions’ human resources and institutional assets and complementing their needs. We launched an internship program that allowed youth to benefit from a working experience in return for their sharing of technical knowledge and services. We developed our outreach to all publishing houses in Lebanon in order to increase our fund of books and publications for free. We mobilized youth groups and NGOs to work together with us on issues that became nationwide campaigns such as the Smoking Ban in 2012. It was very difficult to organize these initiatives with a team of three, yet with dedication and the enthusiasm and help of all involved, we made it! We waited for a few weeks for the committee to review the applications and on 24 October 2012, we received a confirmation that YCC was accepted as a worldwide innovative and deserving urban initiative. It was featured in the widely distributed urban development manual which only features the top achievements at the local government level. YCC was particularly lauded for its efforts in creating youth policies that build bridges between the local government and the city’s youth and for building youth capacities and opening opportunities in the fields of culture, employment, networking and the creative industry. In recognition for this achievement, I was invited to represent Zouk Mikael in the award ceremony and congress in Guangzhou, China and was accompanied by representatives of our lead partner Lebanon Development Union (LDU); Ms. Crystel El Chayeb, Secretary General and Mr. Ziad Nassif, Board Member. The experience was impressive; Zouk Mikael, a city of 35,000, received attention alongside metropolises of 250,000 inhabitants and more such as Vienna, Cincinnati, Sao Paulo, Seoul, Vancouver, etc. to name a few. Zouk Mikael was also honored in the Urban Innovation forum where many stopped to read the highlights of our initiative and took photos with our little Lebanese, Zouki delegation. We planted a “Chorisia Speciosa” in Zouk Mikael’s name at Friendship Forest of the Haizhu Wetland of Guangzhou, a special tribute to the city of flowers in the heart of Guangzhou, a metropolis that transformed its industrial identity into an urban heaven of flowers, parks and is a leader in cultural preservation. Our delegation also contributed to debates, discussions and the Guangzhou declaration. The Guangzhou declaration called for establishing and promoting the human-oriented concept of urban development, persisting in a green and low-carbon direction for urban development, applying smart technologies in the running of modern cities, preserving the city’s cultural heritage, promoting public participation in urban development and to stimulate sustainable innovation and strengthening communication and cooperation among cities to further promote urban innovation. To the reader who knows Zouk Mikael and the 50 long years of work of its pioneering Mayor Naufal, one knows that our city council had almost covered all points in the Guangzhou declaration which made Zouk, through YCC a perfect candidate for this award. Recognized as the beating heart of Kesserwan, Zouk Mikael’s Youth and Culture Center is a platform for the dialogue of cultures. It has hosted over 600 artists from around the world, and produced cultural events of different kinds (such as plays, dance recitals, readings, concerts, book signings, movie clubs, etc.) in collaboration with 50 embassies and international organizations. The initiative is equally valuable for its leading role in initiating public private partnerships and engaging the local population and the civil society in a sustainable development movement that keeps growing. The Guangzhou Award aims to reward innovations to improve the socio-economic environments in cities and regions, promote sustainability, and hence advance the livelihood of their citizens. Presented biennially, the award will encourage and recognize outstanding innovative projects and practices in the public sector. Reaching the finals is an achievement for Zouk Mikael and it is once more a testament to how our city is on the road to glory along with the world’s cosmopolitan and most advanced cities like Vienna, Seoul, Cape Town, Vancouver, Mexico and Dusseldorf. The earliest traces of modern Syro-Lebanese migration date to the 1850s with Anthonius Al-Bishalani, who migrated to the United States. However, scholars consider the 1880s to be the beginning of a larger migration phenomenon. A few decades after Al-Bishalani set foot in America, Michel Chiha asserts that “we could not be able to live without emigration, but if emigration became too vast, it would be the end of us.” After five waves of migration, Lebanon today faces just such a dilemma. According to Charles Issawi, migration from Lebanon to the New World began to intensify during the second half of the 19th century when Mount Lebanon was the scene of several regional and international conflicts that led to civil wars, notably between Maronite Christians and Druses in 1840 and 1860. After 1861, peace also had its share in promoting migration: Missionaries founded dispensaries and schools that helped reduce mortality and raise the level of education to meet the needs of a flourishing tertiary sector. This led to a demographical boom in the Mountain, spurring an “internal exodus,” mainly to Beirut, while the number of educated people outnumbered the available jobs pushing those who were less educated to seek employment outside Lebanon. Furthermore, Beirut’s population, which had quadrupled between 1830 and 1850, doubled between 1865 and 1920, as a result of the internal exodus from the over-populated Mount Lebanon. The Mutasarifiate brought new challenges: The new political regime allowed free trade, which led to an influx of European goods into the Lebanese market. As a result, Mount Lebanon’s economy shifted rapidly from an autarchic regime to enmeshment with the world economy, which required the use of cash while Lebanese relied on barter and exchange of goods. Peasants tried to compensate for this deficiency by taking personal loans to buy mulberry trees, necessary for the production of silk production ― then the backbone of the Lebanese industry, accounting for 82% of Mount Lebanon’s exports. At that time, 40% of cultivated lands were allocated to growing mulberry trees. This resulted in the “mono-production” of exportation, as Mount Lebanon had to resort to importing raw foodstuffs such as wheat in a period of demographic expansion and heavy debts. In 1890, 18 years after the silk boom, the economy was heavily challenged: A “silk crisis” occurred, as cheaper and better quality Chinese silk products flooded European markets, previously the main destinations for Lebanese silk. 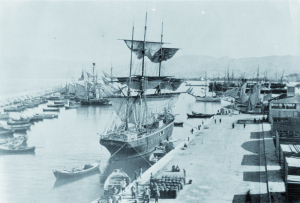 This crisis corresponded with the 19th century coastal revival, “owing to growth of trade with Europe following the industrial revolution and the development of steam navigation.” At least ten steam navigation lines operated regularly from the port of Beirut. Migrants could thus easily go back and forth, carrying home success stories from America and harvesting more young, ambitious but unskilled men seeking wealth and prosperity in the New World. However, seeking a better life was not the only motive for migration; a large number of young men fled conscription. Hitti asserts that every steamer heading to the Americas was full of young men seeking to avoid military service. Here Christian residents of the wilayets of Beirut, Saida, and Tripoli were the direct targets, as Christians of the Mutassarifiate were granted a special status guaranteed by the Règlement Organique. “It was like a gold rush,” as steamship agents ― usually returning migrants who marketed their success stories in the New World ― “recruited passengers for the ships in form of cheap labor for America’s industries.” High-interest credit facilities were offered for those who could not afford to buy a ticket. Red-tiled Italian houses were seen all over the mountain, everywhere signs of prosperity and wealth encouraged young men to emigrate leading to an “emigration fever.” About 45% of Mount Lebanon’s population is said to have emigrated between 1860 and 1914; Mount Lebanon’s population in 1913 is estimated to have been 468,714. The irreversible occidental orientation of Lebanon, as described by Karam Rizk, also was encouraged by the teachings of the missionary schools, which introduced Western culture to Lebanese society. Meanwhile, foreign languages were taught and spoken in the streets of Beirut, attracting more of Lebanese youth to the West. Egypt was the first destination for Syro-Lebanese, who were drawn their by its prosperous economy and freedom of speech promoted under British tutelage. Later on, two large exhibitions held in Philadelphia in 1876 and in Chicago in 1893 had a significant influence on migration, as the Porte favored wider participation and representation of the Sultanate in these exhibitions and therefore encouraged Syro-Lebanese to participate. It was the economic growth in the Americas that had a direct impact on migration: Syro-Lebanese were “pulled” by the opportunities that were offered in the United States, which had the highest growth rate of income per capita among industrial countries (4.3% per annum) between 1879 and 1913. The rubber boom in Brazil attracted migrants in the 1890s. Demography was an essential catalyst, as the under-populated American continent offered opportunities for both skilled and unskilled migrants. In Brazil, the abolition of slavery allowed Lebanese to find work as peddlers, who sold their goods in the hinterlands. This first wave of Syro-Lebanese migrants ― most of whom were illiterate, unskilled, and single males ― remitted large sums of money that helped balance the Mountain’s economy and contributed to the decongestion of the cities by reducing the toll of unemployment, which is the direct outcome of rural exodus. The First World War sea blockade halted emigration for three years (1915-18), but the outflow of Lebanese resumed as soon as the siege was lifted and continued until the third quarter of 1920 and the proclamation of the French Mandate over Lebanon. Thereafter, a series of factors dramatically reduced the number of emigrants: the US quota for emigration, the stability brought to Lebanon by the French Mandate, and the international economic crisis that swept through the United States and Europe. The French Higher Commissioners report a significant number of returnees in 1924, 1927, and 1928. This new trend, however, did not last. The year 1925 saw an increase in migration, as the Druze insurrection in Syria quickly spread to Lebanon and resulted in clashes, notably in the Christian Beqaa town of Rashaya. These incidents reminded the Christians of the 1840 and 1860 massacres. It also undermined their trust in the French mandatory powers to help them secure an independent Lebanese entity. Yet, despite these incidents, the toll of migration again decreased. Lebanon’s economy continued to suffer from the destruction and high mortality rate of the First World War, while France itself faced an enormous economic crisis, which prevented the mandatory powers from investing in the building of Lebanon’s economy and attracting Lebanese successful migrant capitalists. This wave of migration included a significant increase in the number of women, who migrated primarily on the basis of family reunion. This wave also included new destinations for Lebanese migrants, such as Australia and West Africa. Although migration waned immediately after Lebanon achieved independence, this trend did not prevail. Starting in the 1950s, political unrest, a high cost of living, and a high rate of unemployment drove more Lebanese to migrate. Further spurring migration were the 1956 Suez crisis, political persecution, discrimination following the unsuccessful coup attempt by the Syrian Social Nationalist Party, the Arab-Israeli War, and Israel’s daily raids in South Lebanon in an attempt to crush Palestinian guerrillas attacking Northern Israel. As a result of instability, 164,000 Lebanese fled the country between 1973 and 1974: 72,000 to the Arab countries, 64,000 to Europe, 21,000 to the United States, 1,600 to Australia, 61,000 to Africa, and 17,000 to Asian countries. Yet, despite the amplitude of the number of migrants in 1973-1974, emigration during this period was far less impressive than the first wave. At the same time, however, the migrants’ profile changed significantly: Young men and women seeking better education migrated to the United States, Canada, and Europe, while those who sought employment opportunities migrated to the Gulf in the “oil boom” era. During this 15-year period, which was marked by civil war, approximately one million Lebanese fled the country. Labaki asserts that at the beginning of the civil war, most migrants returned as soon as the situation returned somewhat to normalcy (in 1976), while a large number continued to go back and forth. After 1985, however, migration became permanent. It is not surprising that war and its effects were the major “push” factors during this period. According to the Centre Catholique d’Information, over 800,000 families were displaced. This massive internal exodus was followed by an economic crisis, the devaluation of the Lebanese lira, and a dramatic rise in the unemployment rate, which reached 35% in 1987. The breakdown of the educational system prompted youth and family migration, as Lebanese families traditionally accorded great importance to high-standard education. Reunion Acts pulled many families to join their relatives abroad. However, terrorist attacks in Beirut led to worldwide scrutiny and control on all Lebanese subjects; consequently, visa procedures became much more difficult. This prompted all those who had relocated temporarily to work to acquire new nationalities. Lebanon thus lost these migrants for good. Nowadays, Lebanese migration is mainly a process of “brain drain” whereby the most educated men and women seek better jobs and opportunities abroad. During the period of Syrian hegemony over Lebanon (1990-2005), corruption, inflation, an increase in public debt, and political persecution prevented many Lebanese from returning and prompted many among those who had stayed to leave. Unemployment eviscerated the middle class, which adversely affected the Lebanese economy as a whole. Twenty-eight percent of Lebanese families lived below the absolute poverty line. Meanwhile, each year 50,000 new job seekers competed in the Lebanese labor market for a mere 35,000 new jobs. The repeated Hizbullah/Israel clashes resulted in continuous political and security unrest. The most recent conflict, which occurred in 2006, sowed doubt among young men and women that a safe and prosperous Lebanon is achievable. In her latest field research, Choghig Kasparian demonstrates that obtaining work accounts for 52.4% of those who decide to migrate, education 8.8%, family reasons 25.4%, and other factors, including security and politics 13.4%. The number of migrant men (22.9%) is slightly more than double that of women (11.5%), which is widening the demographical gap between the sexes. Recently, the Lebanese government has devoted more attention to migrants’ needs. Lebanese politicians are constantly making visits in the Mahjar, taking into account that the remittances are undoubtedly the strongest bulwark against the collapse of the Lebanese economy in the face of the worldwide economic crisis.
. The early migration from the Ottoman occupied lands was mainly from Lebanon. However, Lebanese were first registered in official records of ports of entry as Turks, for they held Turkish passports. Therefore, the term “Syro-Lebanese” is the proper term to refer to the pre-Mandate era, taking into account that the majority of migrants originated from modern day Lebanon.
. Michel Chiha, Lebanon at Home and Abroad, translated from the French by Leo Arnold and Jean Montegu (Beirut: The Publications of the Cenacle, 1966), p. 114.
. Charles Issawi, “The Historical Background of Lebanese Emigration: 1880-1914,” in Albert H. Hourani and Nadim Shehadi, eds., The Lebanese in the World: A Century of Emigration (London: I.B. Tauris, 1993), pp. 13-31.
. Leila Tarazi-Fawaz, Merchants and Migrants in Nineteenth-Century Beirut, Harvard Middle Eastern Studies, No. 18 (Cambridge, MA: Harvard University Press, 1983), pp. 2-3.
. Akram Khater, “ ‘House to Goddess of the House’: Gender, Class and Silk in the 19th Century Mount Lebanon,” International Journal of Middle East Studies, Vol. 28, No. 3 (1996), pp. 326-327.
. Boutros Labaki, “L’émigration libanaise en fin de période ottomane (1850-1914),” Hannon Revue Libanaise de Géographie, Vol. 19 (1987), p. 9.
. Leila Tarazi-Fawaz, Merchants and Migrants in Nineteenth-Century Beirut, p. 2.
. Philip Hitti, The Syrian in America (New York: George H. Doran Company, 1924), p. 51.
. Abdallah Al-Mallah, Mount Lebanon Mutassarifate Between 1903 and 1915: The Global Political and Sociological Reality, Unpublished Doctoral Dissertation, Fanar, Lebanese University, Section II, 1990, p. 11.
. F. Kleem, The Cleveland Maronite Lebanese and Education, Ph.D. dissertation, Cleveland, Ohio, 1986, p. 20 cited in Louis Ferkh, Conflict and Migration: The Lebanese Emigrants’ Potential Role in the Development of Lebanon, unpublished doctoral dissertation, University of Limerick, 1991, p. 84.
. Philip Hitti, The Syrian in America, p. 53.
. Louis Ferkh, Conflict and Migration: The Lebanese Emigrants’ Potential Role in the Development of Lebanon, p. 84.
. Youssef Courbage & Philippe Fargues, La situation démographique du Liban, Analyses et données, publication du Centre de Recherches de l’Institut des Sciences Sociales de l’Université Libanaise, Beyrouth, 1974, cited in Boutros Labaki, Op. Cit., p. 8 and 15.
. Rev. Karam Rizk, “Vie spirituelle et culturelle au Liban de 1845 à 1870,” in Parole de l’Orient, Vol. 15 (1988/89). pp. 321-322.
. Alixa Naff, “Lebanese Immigration into the United States: 1880 to the Present”, in The Lebanese in the World: A Century of Emigration, United Kingdom, The Center for Lebanese Studies, Oxford, 1922, p. 144.
. Boutros Labaki, Op. Cit., p. 14.
. Jeff Lesser, “From Peddlars to Proprietors: Lebanese, Syrian and Jewish Immigrants to Brazil”, in The Lebanese in the World: A Century of Emigration, United Kingdom, The Center for Lebanese Studies, Oxford, 1992, pp. 395 – 401.
. Philip Hitti, The Syrian in America, p. 51.
. Philip Hitti, The Syrian in America, p. 135.
. Michel Chiha, Lebanon at Home and Abroad, p. 119.
. M.A.E., rapport à la SDN pour l’année 1927, p. 53. M.A.E., rapport à la SDN pour l’année 1925, p. 95. M.A.E., rapport à la SDN pour l’année 1927, p. 89. M.A.E., rapport à la SDN pour l’année 1928, p. 94.
. Al-Minbar, No. 49, March 1990, p. 16.
. Nabil Harfouch, The Lebanese in the World, Documents and Censuses, Vol. III, Beirut, 1978, p. 24.
. Louis Ferkh, Conflict and Migration: The Lebanese Emigrants’ Potential Role in the Development of Lebanon, p. 88.
. Boutros Labaki, “L’émigration libanaise en fin de période ottomane (1850-1914), p. 607.
. Joseph Khoreich, Results of the Lebanese War 1975-1997, Liban, Centre Catholique d’Information, p. 7.
. Salim Nasr, “The Political Economy of the Lebanese Conflict,” in Nadim Shehadi and Bridget Harney, eds., Politics and the Economy in Lebanon (Oxford: The Center for Lebanese Studies, 1989), pp. 42-50.
. Louis Ferkh, Conflict and Migration: The Lebanese Emigrants’ Potential Role in the Development of Lebanon, pp. 90 – 95.
. Louis Ferkh, Conflict and Migration: The Lebanese Emigrants’ Potential Role in the Development of Lebanon, p. 100.
. Antoine Haddad, “The Poor in Lebanon,” The Lebanon Report, No. 3 (1996), p. 1.
. Kamal Hamdan, “Economist Slams Policies,” Alternative-Online, Lebanon, Vol. 1, Issue 7 (2003), p. 3A.
. Choghig Kasparian, “Les jeunes libanais dans la vague d’émigration de 1992-2007,” L’émigration des jeunes libanais et leurs projets d’avenir, Vol. 2, PUFJ, Beyrouth, 2009, p. 24.
. Choghig Kasparian, “Les jeunes libanais dans la vague d’émigration de 1992-2007,” p. 15.